….and it’s a lot of fun! The set is beautifully macabre, not to mention the company itself – some wonderfully chilling aspects to be enjoyed in Lynn Binstock’s lavish Traviata. 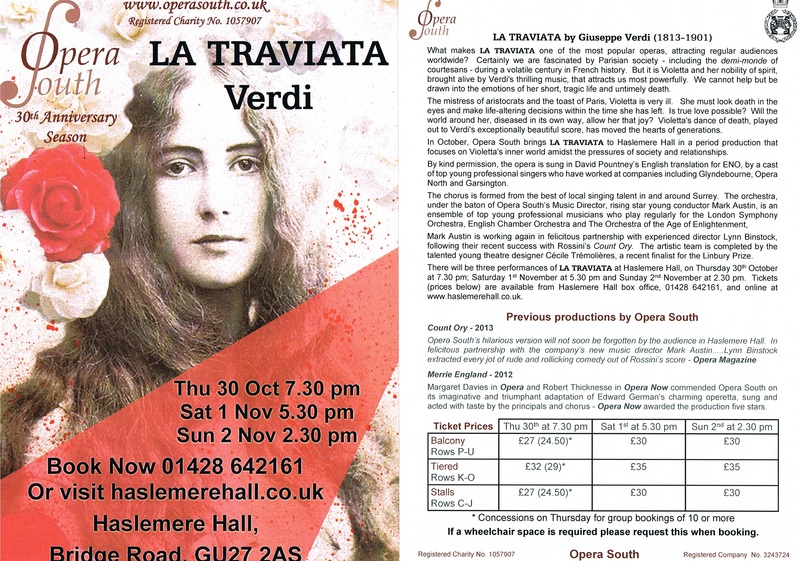 Caroline is delighted to be joining Opera South for their Autumn production of La Traviata, in which Caroline will cover the role of Flora Bervoix. For more information, including tickets and availability, please visit Opera South’s website here.